Are you and your little one(s) avid readers? 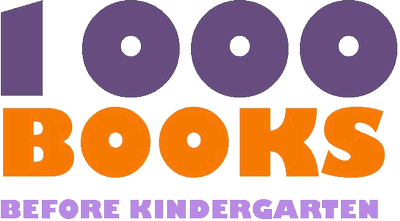 Check out our “1000 Books Before Kindergarten” program! The 1000 Books Before Kindergarten program is designed to help parents prepare their children for one of life’s big milestones: kindergarten. Research has proven that children build the skills they need to learn to read long before they start kindergarten. The most effective way to prepare your child for reading is to read with them. This program is open to all kids not yet in kindergarten. We encourage all kids from Nederland, Ward, Rollinsville and the surrounding Peak to Peak region to register from newborns to preschoolers.When you register for 1000 Books before Kindergarten, you will receive a binder, pages to log the first 100 books, and tips to help make reading aloud one of the most enjoyable and beneficial activities you will ever share with a child. As you progress in 100 book increments, your kiddo will earn additional prizes and get new pre-reading skills to help prepare them for kindergarten and life-long learning. Register – Visit the Nederland Community Library and stop by the circulation desk. You will be given a binder and can take home your first reading log. Track Your Reading – Each time you read a book with your child, write the name of the book in your reading log. (You can log the same book more than once.) Check out the mobile apps on iTunes and Play Store – make tracking your little one’s first books fast and easy! Show us Your Reading Logs – When you reach 100 books, bring in your reading log and show it to circulation desk staff. You will be rewarded with a prize! Read More Books! When you get all the way to 1000, participants will receive a special prize and recognition for their big accomplishment. Parents: here are some links to websites featuring DIY activities, as well as Early Literacy information.